The new year has already started. The Christmas holidays are now behind us and without realising it we are once again back at work. And what better way to start the year than refurbishing our bathroom. If this is your case, and you are thinking of giving your bathroom a new look, you’ll find this post interesting. 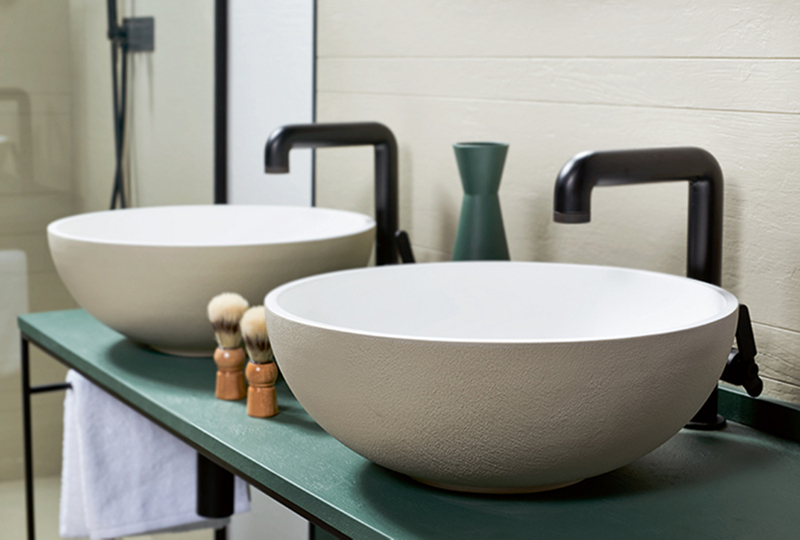 One of the key points that gives our bathrooms personality are the fixtures. Currently, we have a wide variety of bathroom fixtures that incorporate uniquely designed avant-garde features which don’t go unnoticed. -Formerly, functionality and design occupied a secondary position, quite the opposite of what happens today. This is evident to us at Acquabella, which is why we have a wide variety of shower trays perfect for each and every space. Our different sizes, ranging from 70cm to 2m in length, as well as the 6 different textures, which can be chosen from an infinite colour chart, are suitable for any bathroom. In this way, models such as Focus Beton or Base Slate delight the senses in each room, where their textures and design bring the surroundings together perfectly. -The sink is another important element in our bathroom. A piece we have a duty to care for and highlight. 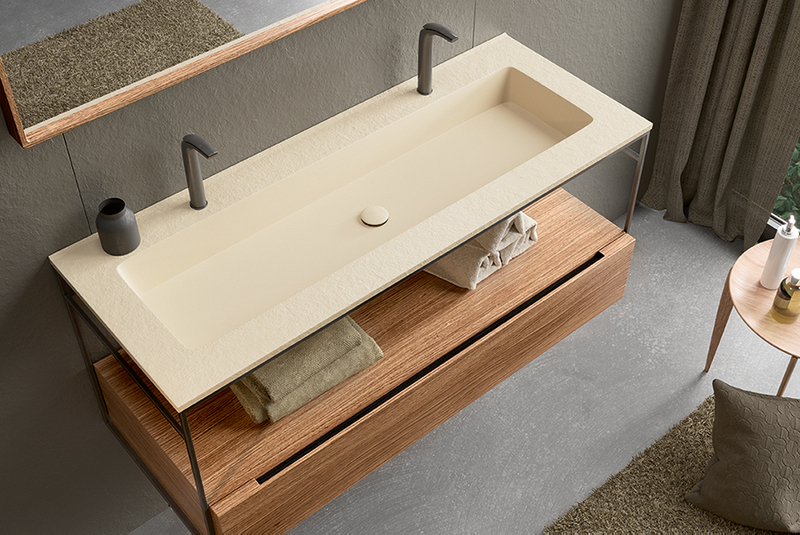 Being able to choose different options, such as countertop basin that are becoming really trendy in today’s bathrooms. -In the same line are worktops with integrated sinks. This alternative allows the option of positioning up to two integrated sinks, as well as choosing between those with a skirt and machined towel rail or those without a skirt, which go straight on the piece of furniture. Whichever option you choose, what is clear is that at Acquabella we are committed to unity and cohesion in the design of our environments. And you might ask how we do it. Our products are easily personalised in terms of size, texture and colour. Three essential pillars are needed so that our bathrooms merge into a single piece of art and style. And so that everything is perfectly assembled, Acquabella puts other elements at your disposal. 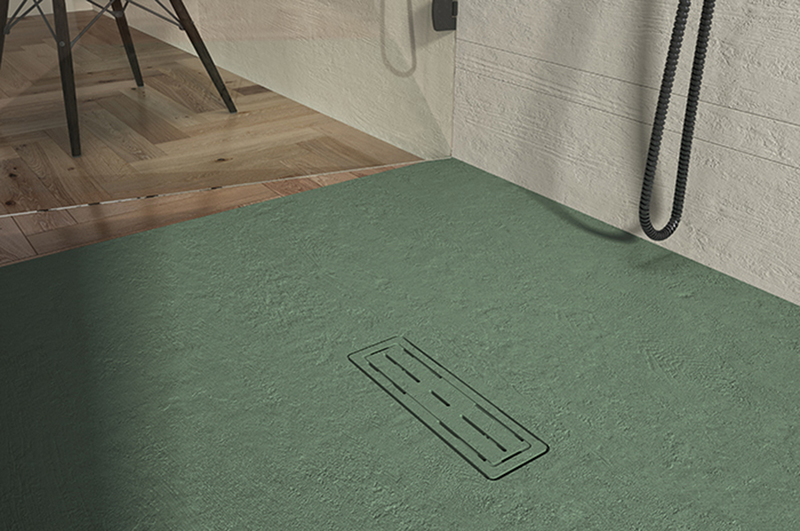 It is here, where panels, shower panels, bathroom furniture and bathroom accessories are especially important. –Wall panels, which due to their great strength, ease of cleaning and their many decorative possibilities, make the perfect complement to finish off the design of our bathroom. –Furniture for your bathroom with a modern and innovative decoration concept. 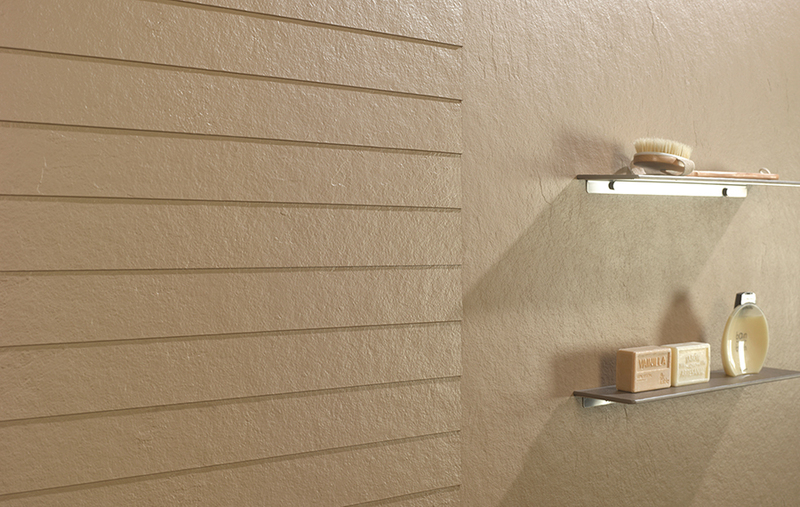 With different finishes, in Akron or wood that combine perfectly with the rest of the elements in your bathroom. –Screens and mirrors are also elements that contribute to our environment. In visual terms, bathroom mirrors can double the available space, therefore the use of this type of accessories is beneficial. At Acquabella, we remain committed to art and design. 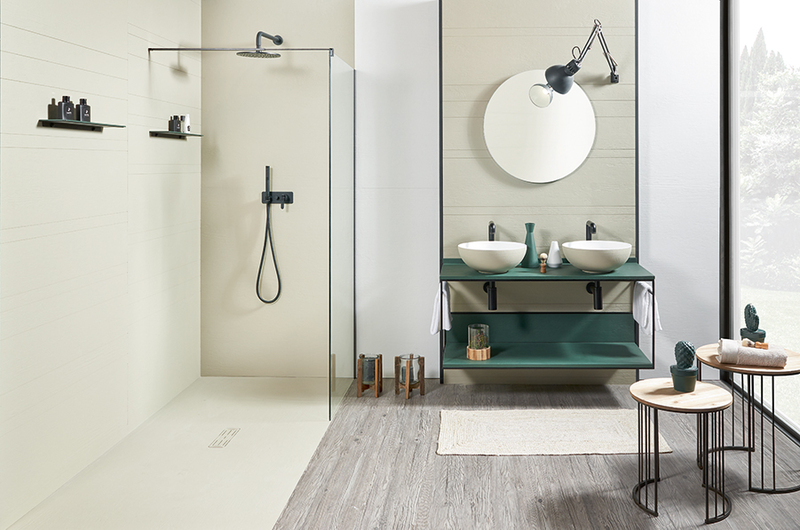 This year do not limit your creativity, because designing and organising a new bathroom doesn’t have to be complicated.